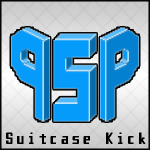 A suitcase can make a wonderful kick drum if you find the right one. 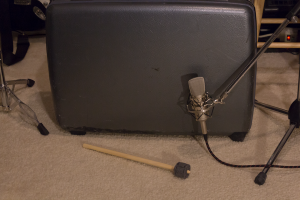 This particular suitcase was found a local thrift store and it’s been prepared to create some very useable kick drum sounds. This micro-library contains 30 kick drum samples that I created by hitting the suitcase in various areas with a felt mallet. Also included is a Battery 4 file that’s ready to draw into your favorite DAW. Below is a short demo giving you an idea of what they sound like. These are from the Battery 4 patch that’s a part of the library. If you’d like to hear a little about how I obtained these sounds, check out this video.